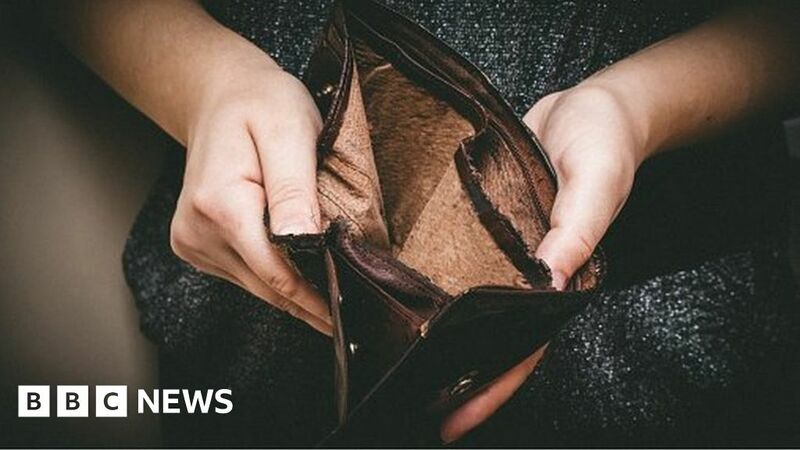 People with mental health issues are three-and-a-half times more likely to be in problem debt than those without such conditions, analysis suggests. This link was even stronger for certain conditions such as bipolar disorder and depression, the Money and Mental Health Policy Institute said. It said those with Obsessive Compulsive Disorder (OCD) were six times more likely to have serious money troubles. It is leading calls for greater protection for those in this situation. The institute analysed data from the Adult Psychiatric Morbidity Survey, which had responses from 7,500 people in England. This revealed an estimated 1.5 million people were struggling with mental health and debt issues at the same time. Someone who had such difficulties was Debbie, from the West Midlands. During periods of depression – resulting, in part, from her father’s death – her spending spiralled. She said that, in the past, if she was feeling low owing to depression, she would go out to buy something and pay on credit. They were often items she did not need. Credit card, store card and catalogue debt, as well as extra travelling costs for a new, lower-paid job, led her to build up debt which, at its height, totalled £70,000. Eventually she decided the only route out was bankruptcy. The institute’s analysis suggested that one in four people affected by depression, such as Debbie, were in problem debt, compared with one in 20 people who did not have mental health problems. It said symptoms of depression, such as low moods and poor concentration, could affect people’s ability to manage their finances. Helen Undy, the institute’s chief executive, said: “When you’re struggling with your mental health it can be much harder to stay in work or manage your spending, while being in debt can cause huge stress and anxiety – so the two issues feed off each other, creating a vicious cycle which can destroy lives. She called on the government to dictate minimum standards that providers of services, ranging from banks and energy suppliers to debt collectors, offered to those with mental health difficulties to ensure they got a fair deal.